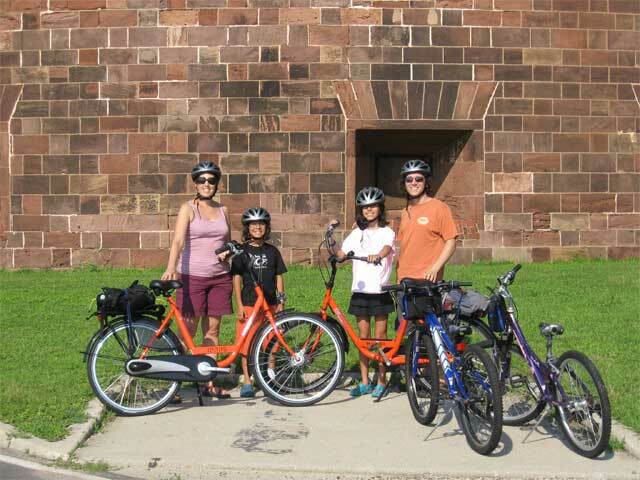 On August 1 Karen and I made a triumphal (okay, maybe it wasn’t triumphal) return to Governors Island, this time with the kids in tow. Unfortunately, we were not able to take Puffin, so we joined the huddled masses on the ferry from the Battery Maritime Building, all yearning to breathe free on the lawns and promenade of the island. I’m happy to report that, although the fortifications remain, the gunpowder and defiance seem to be gone. 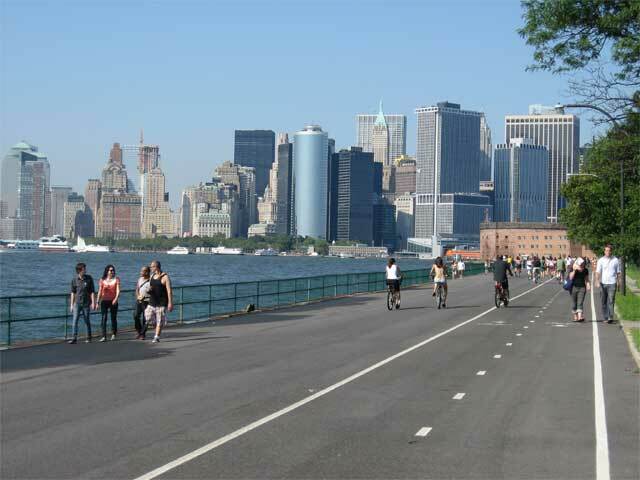 The island is aswarm with peaceful New Yorkers and visitors who roam everywhere by foot, bike, scooter, and other human-powered wheeled transport. 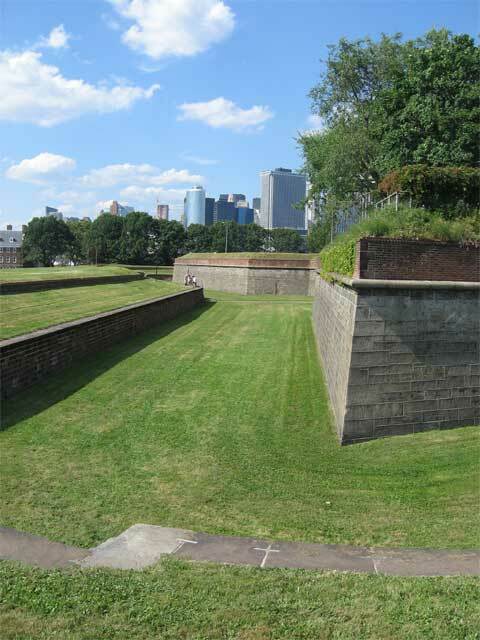 In fact, it was the bicycles that lured us to Governors Island this time. We were hoping to rent one of Bike and Roll‘s quadcycles, but we were much too late, and there weren’t any available. Instead, we each got a bicycle—mountain bikes for the kids, and fancy, orange Dutch bikes for Karen and me. Riding the complete perimeter of the island is easy due to the lack of hills and the lovely breezes off the water. At any rate, it was another thoroughly enjoyable afternoon on Governors Island. Next time we’ll bring our own bikes, though.